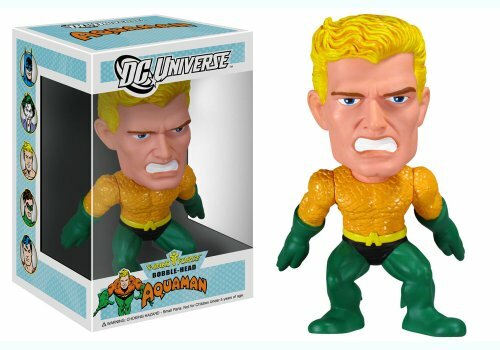 Rule the seas with this DC Universe Aquaman Funko Force Bobble Head! They're tiny, mighty and collectible! Standing approximately 5 3/4-inches tall, Aquaman features a bobbling head and rotating arms. Add him to your DC Universe collection today! 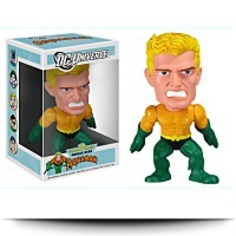 Rule the seas with this DC Universe Aquaman Funko Force Bobble Head! The head bobbles and arms rotate! Dimensions: Height: 6" Length: 5" Depth: 3"
Package: Height: 3.7" Length: 6.9" Width: 4.6"